Ellsen crane lifting equipment such as gantry crane refers to the mechanical and electrical equipment that transfers or moves heavy objects. 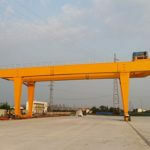 When lifting equipment works, material handling, transportation and unloading are carried out in sequence, and the work of each project should be intermittent.The gantry crane manufactured by Ellsen steel mill crane equipment is generally divided into semi gantry crane, single beam gantry crane and Longmen type crane and the rubber tyred gantry crane. Ellsen lifting equipment is large in structure, disorganized in structure and capable of lifting movement and horizontal movement.In the process of work, the gantry crane can be operated with different movements in different directions, which is a technical difficulty for most crane equipment. 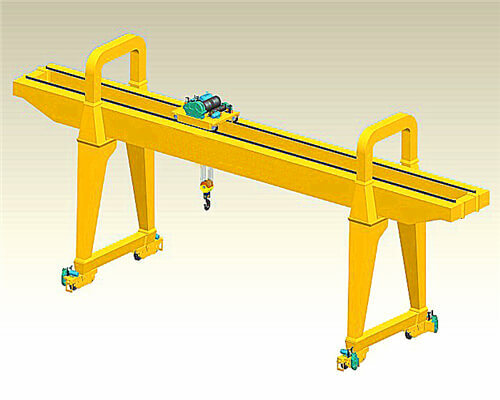 What Should Gantry Crane Parts be Equipped with for the Crane Safety and Performance Sake? Most lifting equipment, running in the larger space requirements, needs to install some track and wheel (such as tower crane, bridge crane); some have a tire or crawler walking on the ground (such as truck crane, crawler crane etc. ); some demand walking on wire rope (such as passenger and freight overhead cableway), whose space is large. The weight of the lifting equipment is varied, and the load is changed.Some lifting machinery demand directly carries the personnel in the guide rail, channel or wire rope to do lifting movements (such as elevators, lifting channels, etc. ), and its reliability directly affects the personal safety. The hoisting industry often needs many people to cooperate and carry on together. An operation, requiring command, bundling, control and other staff cooperation, skilled, action harmony, mutual care.Staff should have the ability to deal with emergency situations. In Ellsen steel mill machinery, crane training services will be provided by our professional crane experts in media forms, such as the crane training videos, documents, brochures, etc. However, if you need crane training services onsite, Ellsen can also meet your such needs. 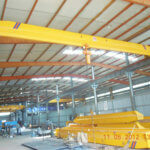 Any Crane services you need be free to contact us.